The emerging world was poor and illiterate just forty years ago. Today, over 70 per cent of the world’s middle class resides in the erstwhile poor countries; world income inequality is down to levels last observed in 1870; and there has been a large reduction in absolute poverty. What accounts for such rapid development and catch-up? Distinguished economist Surjit S. Bhalla’s The New Wealth of Nations offers a short answer—the spread of education. Here is a book that breaks new ground. Besides identifying the fallacies in anti-globalization rhetoric—voiced by Brexit and Trump supporters—it points out a major lacuna in current attempts to measure wealth inequality. Through a series of compelling arguments, anecdotes, studies, calculations, tables, and charts, Bhalla emphatically reminds us that education is the new wealth, and is, in fact, currently of a greater magnitude than financial wealth, and much more equally distributed. * Surjit S. Bhalla has been recently appointed as a member of PM Modi’s Economic Advisory Council, and his new work is a ground-breaking achievement that argues for a new welfare order across nations which is better suited for the constantly transforming time we live in. 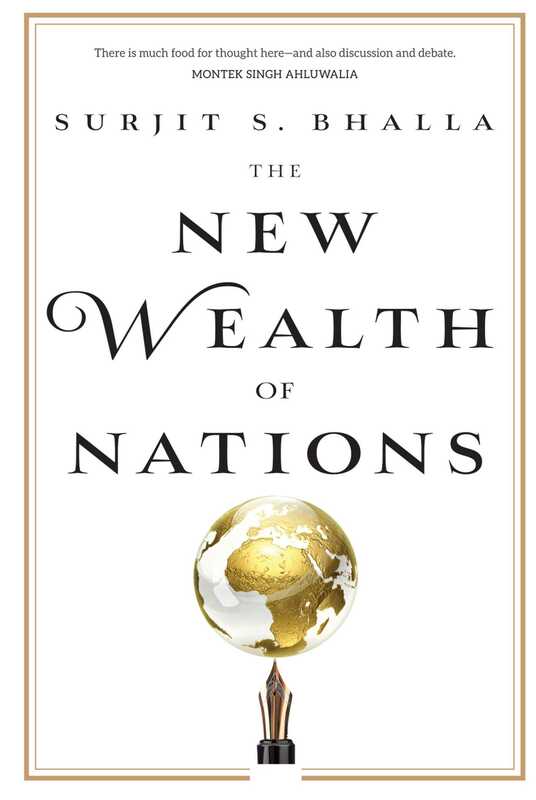 * Through a series of compelling arguments, anecdotes, studies, calculations, tables, and charts, noted economist Surjit S. Bhalla establishes in his latest book that education is the new wealth of nations. * This book offers insights into the definitions of the poor, the middle class, and the rich, while relating each of these to advances in schooling attainment. It explores the economic reasons behind the political success of globalization in the Western world till the early 2000s, and now its fall from grace in these same countries as notably evidenced by Brexit and the rise of Donald Trump. Surjit S. Bhallais a Senior India Analyst for the Observatory Group, a New York based macroeconomic policy advisory firm and Chairman of Oxus Research & Investments. Surjit has taught at the Delhi School of Economics and worked at the Rand Corporation, the Brookings Institution, World Bank, Goldman Sachs and Deutsche Bank. He also served as executive director of the Policy Group in New Delhi, the country’s first non-government funded think tank, and is on the governing board of India’s largest think tank, NCAER. He is a Contributing Editor to The Indian Express, and is the author of Imagine There’s no Country (2002) and Devaluing to Prosperity (2012). His first book, Between the Wickets: The Who and Why of the Best in Cricket (1987), developed a model for evaluating performance in sports. He holds a PhD in Economics from Princeton University, a Master in Public and International Affairs from Woodrow Wilson School, Princeton University, and a BSEE degree from Purdue University. In 2017 he was appointed as a member of Prime Minister Narendra Modi’s newly-formed Economic Advisory Council. He lives in New Delhi.